For detailed information on Dosage and Administration of Mifeprex*(mifepristone) and misoprostol for the medical termination of pregnancy through 70 days gestation, please click on the sections below. For consultation 24 hours a day, 7 days a week with an expert in mifepristone, call Danco Laboratories at 1-877-4 Early Option (1-877-432-7596). For purposes of this treatment, pregnancy is dated from the first day of the last menstrual period. The duration of pregnancy may be determined from menstrual history and clinical examination. Assess the pregnancy by ultrasonographic scan if the duration of pregnancy is uncertain or if ectopic pregnancy is suspected. 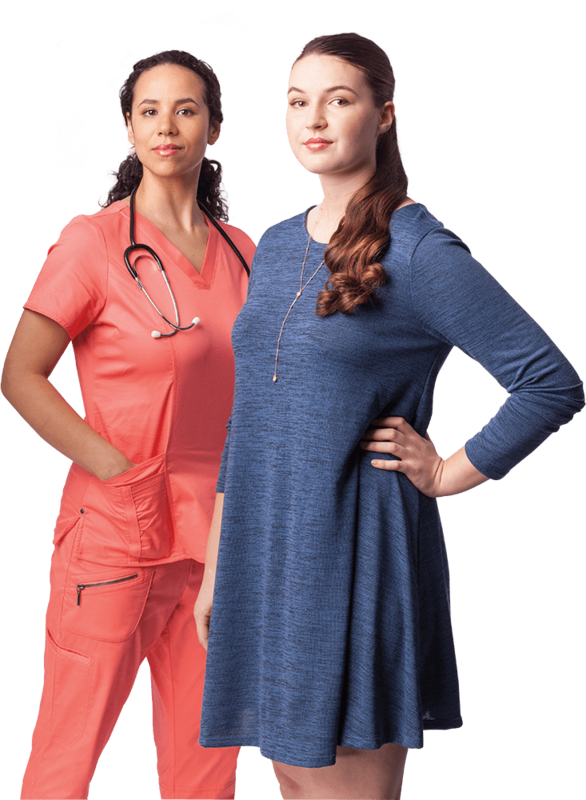 Remove any intrauterine device (“IUD”) before treatment with Mifeprex begins. One 200 mg tablet of Mifeprex is taken in a single oral dose. Four 200 mcg tablets (total dose 800 mcg) of misoprostol are taken by the buccal route.Tell the patient to place two 200 mcg misoprostol tablets in each cheek pouch (the area between the cheek and gums) for 30 minutes and then swallow any remnants with water or another liquid (see Figure 1). Patients taking Mifeprex must take misoprostol within 24 to 48 hours after taking Mifeprex. The effectiveness of the regimen may be lower if misoprostol is administered less than 24 hours or more than 48 hours after mifepristone administration. Because most women will expel the pregnancy within 2 to 24 hours of taking misoprostol, discuss with the patient an appropriate location for her to be when she takes the misoprostol, taking into account that expulsion could begin within 2 hours of administration. The name and phone number of the healthcare provider who will be handling emergencies. Patients should follow-up with their healthcare provider approximately 7 to 14 days after the administration of Mifeprex. This assessment is very important to confirm that complete termination of pregnancy has occurred and to evaluate the degree of bleeding. Termination can be confirmed by medical history, clinical examination, human Chorionic Gonadotropin (hCG) testing, or ultrasonographic scan. Lack of bleeding following treatment usually indicates failure; however, prolonged or heavy bleeding is not proof of a complete abortion. The existence of debris in the uterus (e.g., if seen on ultrasonography) following the treatment procedure will not necessarily require surgery for its removal. Women should expect to experience vaginal bleeding or spotting for an average of 9 to 16 days. Women report experiencing heavy bleeding for a median duration of 2 days. Up to 8% of women may experience some type of bleeding for more than 30 days. Persistence of heavy or moderate vaginal bleeding at the time of follow-up, however, could indicate an incomplete abortion. If complete expulsion has not occurred, but the pregnancy is not ongoing, women may be treated with another dose of misoprostol 800 mcg buccally. There have been rare reports of uterine rupture in women who took Mifeprex and misoprostol, including women with prior uterine rupture or uterine scar and women who received multiple doses of misoprostol within 24 hours. Women who choose to use a repeat dose of misoprostol should have a follow-up visit with their healthcare provider in approximately 7 days to assess for complete termination. Surgical evacuation is recommended to manage ongoing pregnancies after medical abortion. Advise the patient whether you will provide such care or will refer her to another provider as part of counseling prior to prescribing Mifeprex.